Coach Cal had his team do something new on Saturday, prior to Kentucky’s game at Mississippi State. He got his players out of bed early and held a 7:30 a.m. shoot-around in Humphrey Coliseum. 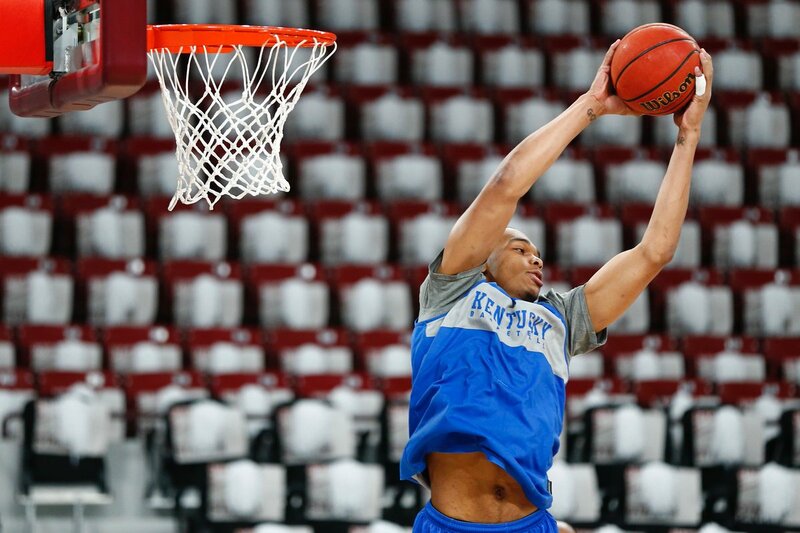 The reason behind the early morning shoot-around is Kentucky’s struggles with noon starts this year. Kentucky has played in only two other noon games this season: against Seton Hall in Madison Square Garden and at Alabama. “We lost both, so that’s why I did it,” Calipari explained. However, he might’ve worn his players’ legs out with the additional practice time. He admitted, “We may have run out of gas because I did that,” which could explain the second half. Or it could just be that Mississippi State wouldn’t go away after Kentucky took a double-digit lead into halftime. Cal told his team at the half to expect two big runs from the Bulldogs and that they’d have to withstand both to win the game. They did, and the noon game slump is over. So that is the reason they started hitting the front of the rim and turning the ball over. Smackdown extraordinaire! Lmao cats! Down goes Frazier!